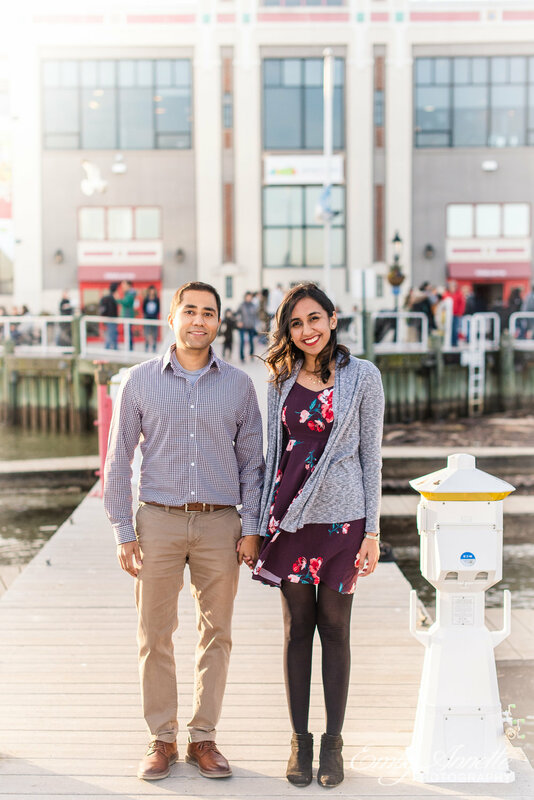 There is no bigger compliment than the referral of a friend so the opportunity to photograph the family of my college buddy warmed my heart! 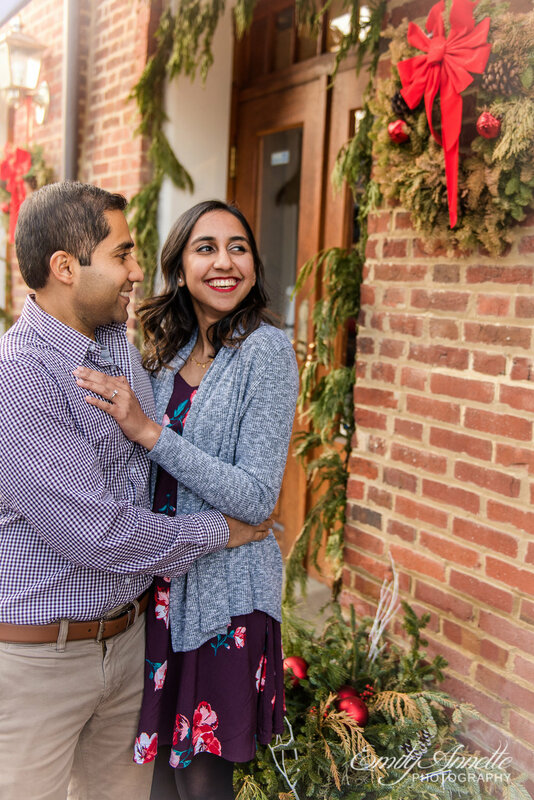 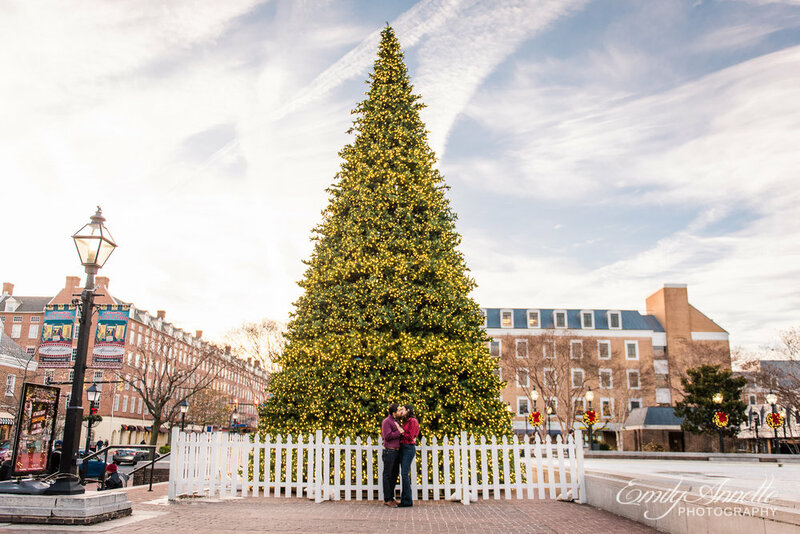 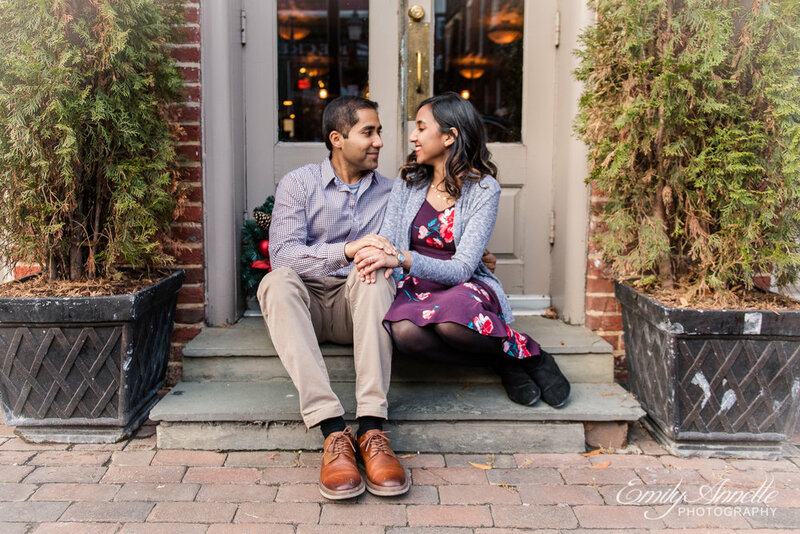 Alina and Steven were in town for the holidays, on break from studies in Arizona , so after a day of seeing the city they spent a couple of hours with me for engagement photos, wandering around Old Town Alexandria, then heading over to Gravelly Point Park in Arlington. 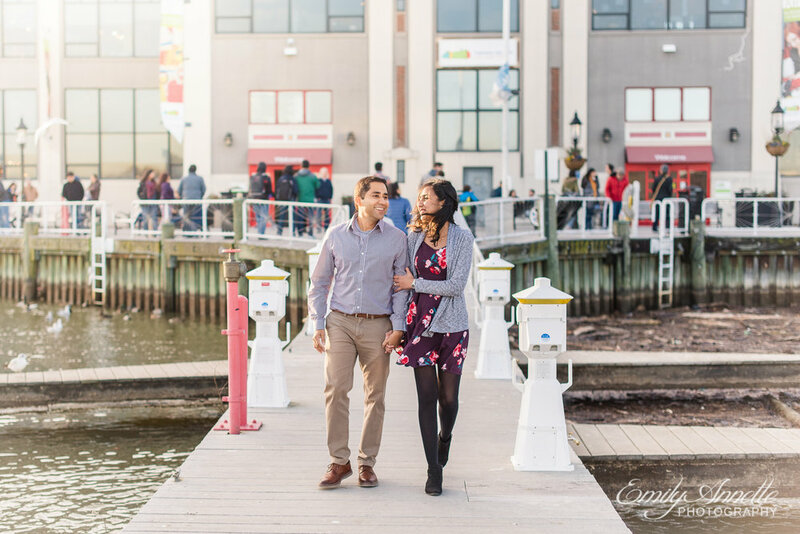 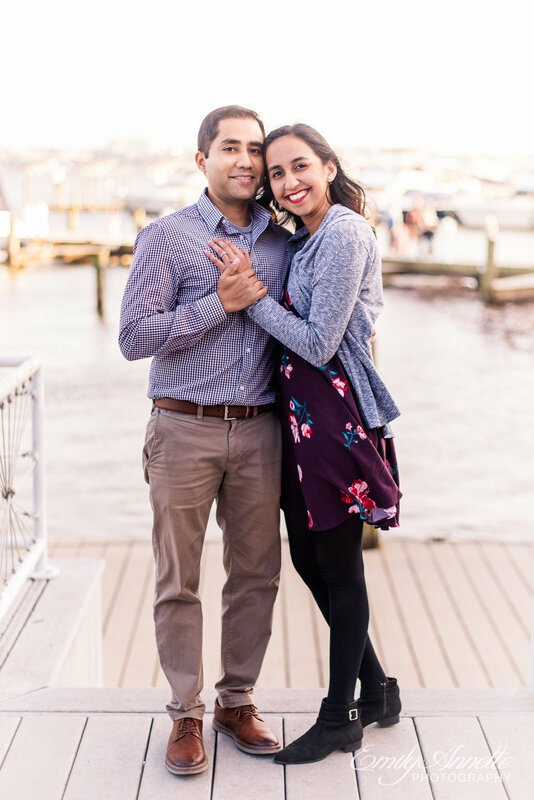 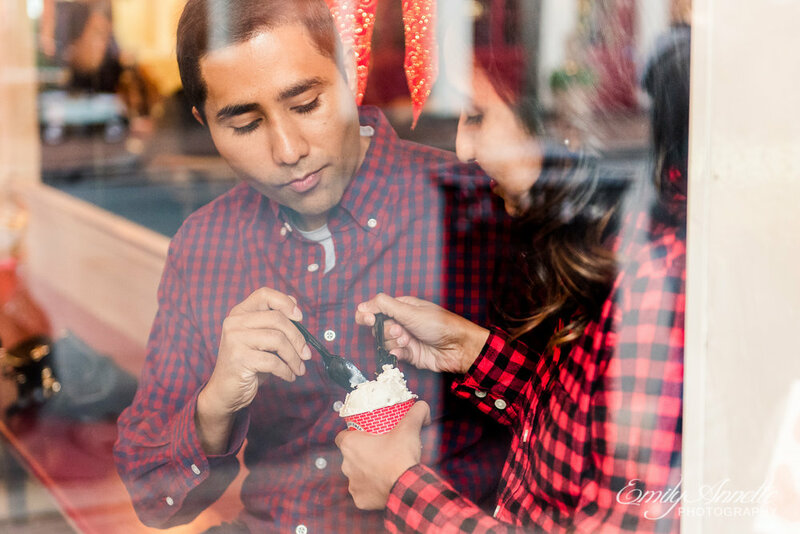 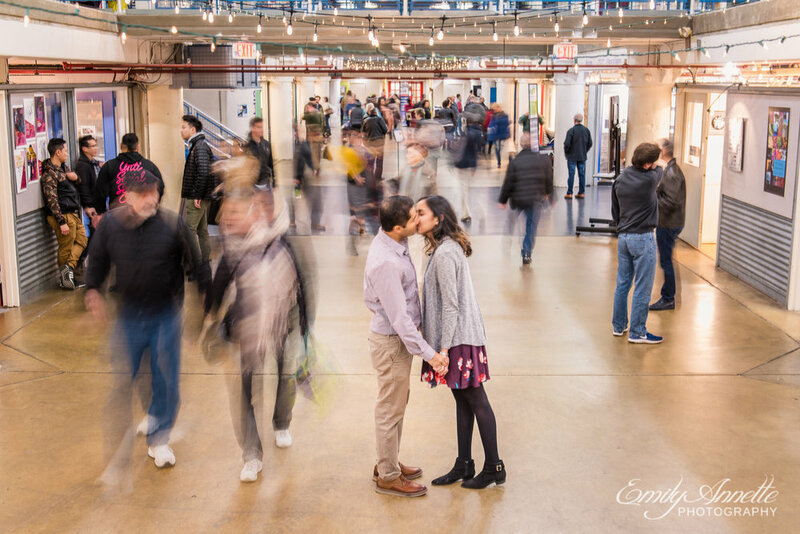 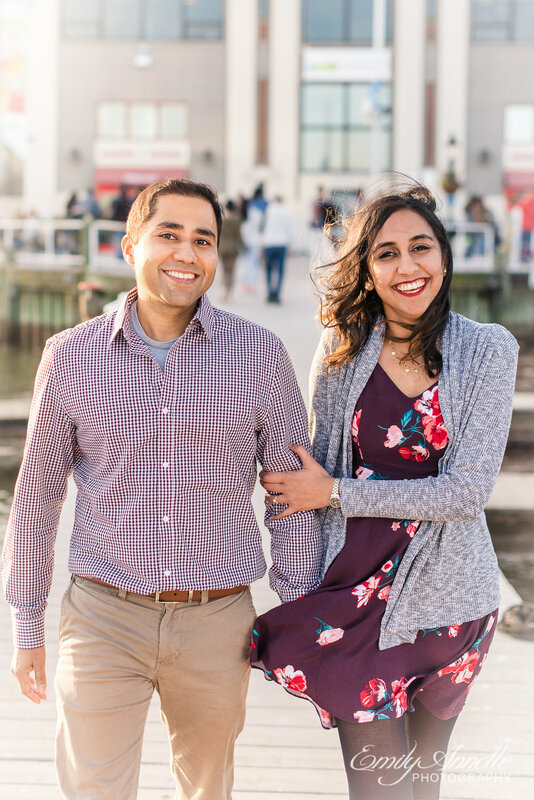 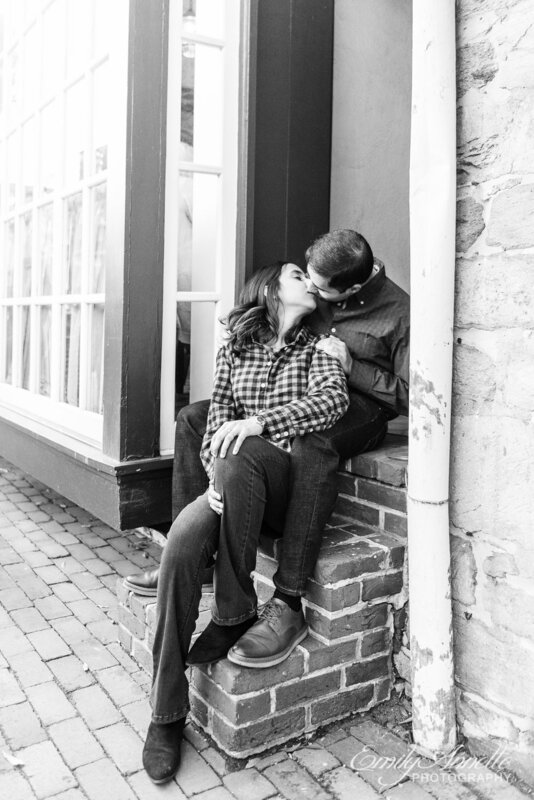 We got some dreamy photos on the docks by the Potomac River, enjoyed the creative buzz of the Torpedo Factory Art Center, picked up some iconic Pop’s Old Fashioned Ice Cream, then watched planes take off from Reagan International Airport. 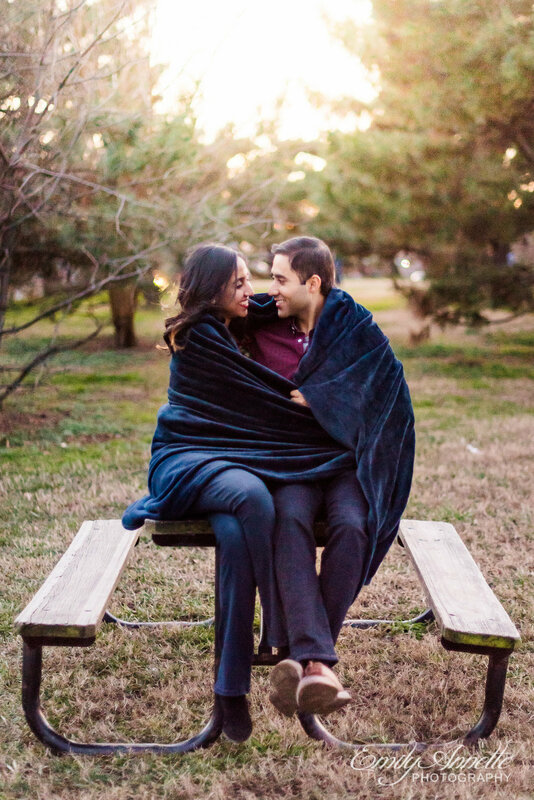 It was a romantic and fun evening and I am thrilled with the results!